After our analysis of Protégé Luminate, we came across a few positive things, however, there were also a few negative things that we found. The subject of our review today is for a skin lightening product called Protégé Luminate. 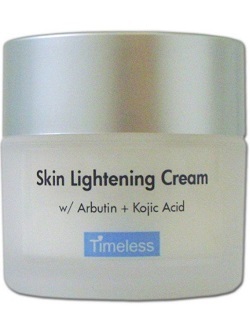 The product claims to be a skin lightening agent. In addition to this, it also provides anti-aging properties and is filled with natural ingredients. Below you will find more information about the ingredients in Protégé Luminate as well as the benefits offered by the manufacturer. Keep on reading. 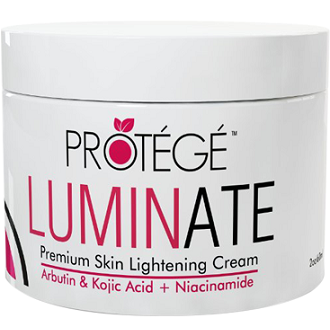 Protégé Luminate claims to provide ingredients that are natural and not chemically-based. Unfortunately, we had to search for the ingredients as it was not mentioned on the manufacturer’s website. The list is extremely long, however, it includes ingredients such as sea kelp, flax oil, tocopherol, and lycopene. When comparing the product to other brands, we are unable to find the main active ingredients or the patented ingredients. It is quite unfortunate that the manufacturer does not provide this information or even have patented ingredients. As a result, the product may be less effective in comparison with other products. The official website provided no information concerning the directions. After some research, we found that the product must be applied once or twice a day to skin that has been cleaned and dried. If you have hyperpigmentation or dark spots, it is best to apply the product to only these areas. Visible results should start around 6 weeks and desired results should appear after 3 months of use. Unfortunately, it comes in a jar, whereas, an airtight pump bottle would have been easier to use. The product can be purchased online from the manufacturer’s website. It has been marked down from $49.99 to $24.99, which is now the original price for the product. This is a drastic drop in price and may indicate that the product is not selling very well. The manufacturer seems to offer a 365-day money-back guarantee as indicated on Amazon. However, the guarantee indicated on the official website only states that they offer a 100% satisfaction guarantee. This is quite confusing and may cause for many problems. It does not seem to be a solid return policy and you may fall into financial risk. After our analysis of Protégé Luminate, we came across a few positive things, however, there were also a few negative things that we found. We like that there are clear instructions indicating how the product should be applied. Unfortunately, the product does not seem to contain patented ingredients and does not provide a list of the main active ingredients. When comparing it to other products, a lot of crucial information concerning the ingredients is absent. In addition to this, the manufacturer does not seem to provide enough information on their website. We had to do some research to find out more about the product. Also, certain information stated on the website and on Amazon concerning the same product provided different results, as indicated by the guarantee. In conclusion, Protégé Luminate does not seem to be an effective product and it will be best to find an alternative.